When you need to optimise the available space, this is the most popular solution for tight fit areas such as stairs and Juliet balconies. 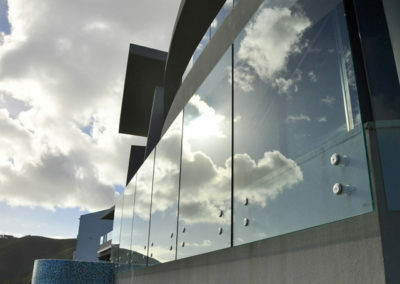 The glass is fixed to the outside or inside face of the structure. 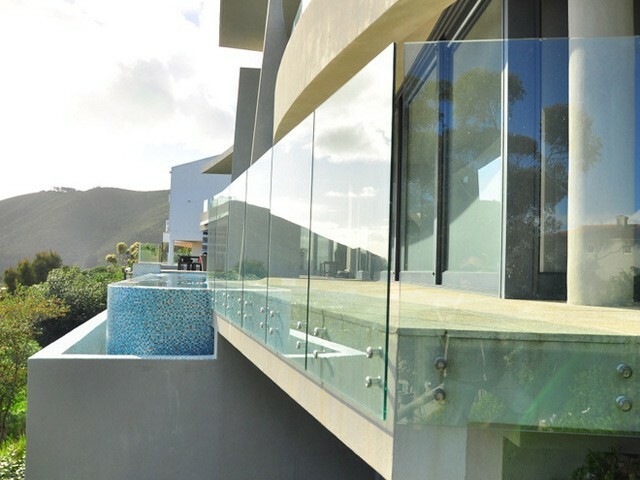 Running vertically along and past the structure, the glass is fixed to the side face using stainless steel or aluminium brackets and fixing materials in order to create maximum floor space. 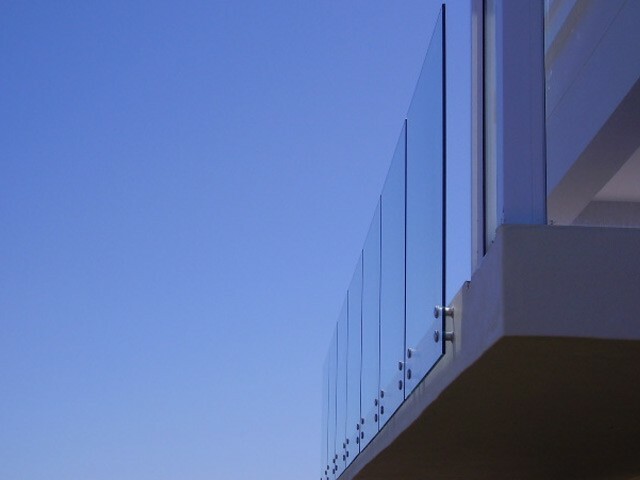 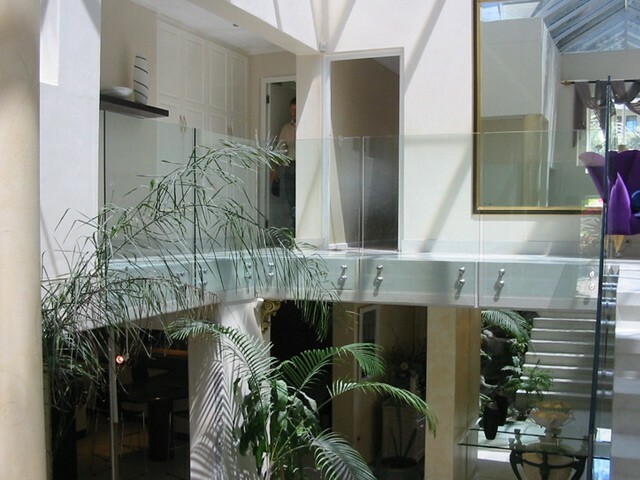 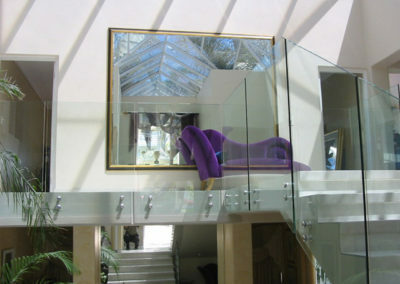 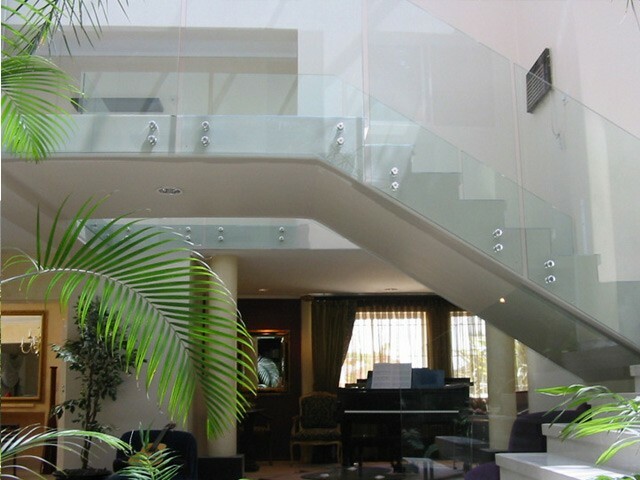 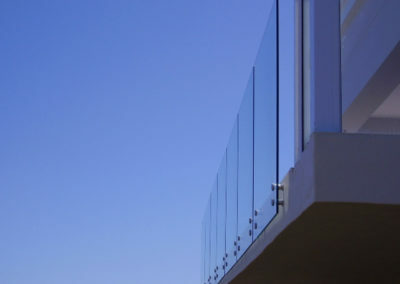 Holes are made in the glass and also includes a top hand-rail which is necessary to comply with national building regulations. 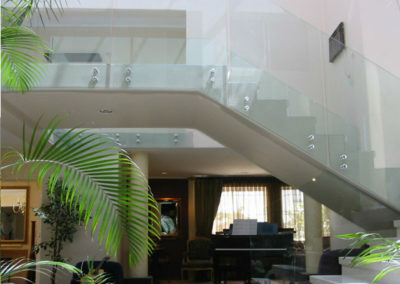 This solution is mostly used along stairs.